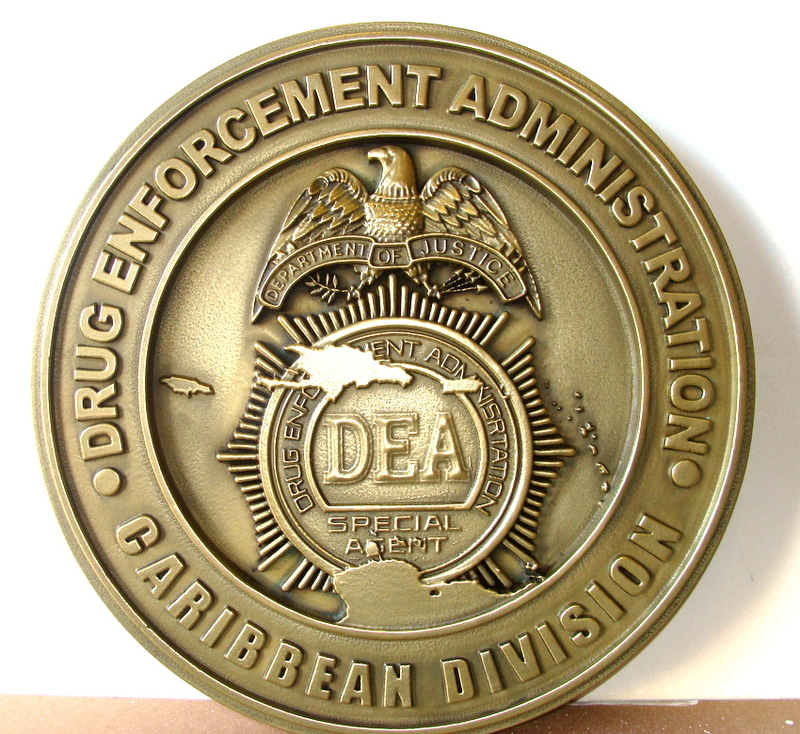 Above is a brass-coated 3D carved High-Density-Urethane (HDU) Drug Enforcement Administration (DEA)( Caribean Division) Wall Plaque. It features the DEA badge with Caribbean Islands overlaid on it.This plaque is polished (no dark patina) on all areas . These plaques are polished by hand to bring out the high-lites. This seal is 24 inches in diameter, but can be purchased in any size from 16 inches to 60 inches in diameter. It can also be customized with other text.